Fire prevention and fire safety have been a passion of mine for most of my life. I remember in third grade my school held a fire prevention poster contest with all the other schools in my city, and my poster won first place! I got to go to the fire station for the day, ride the fire truck, have cake with the fire fighters, the whole nine yards. After that moment I was hooked, and it's been something that I've taken very seriously ever since. 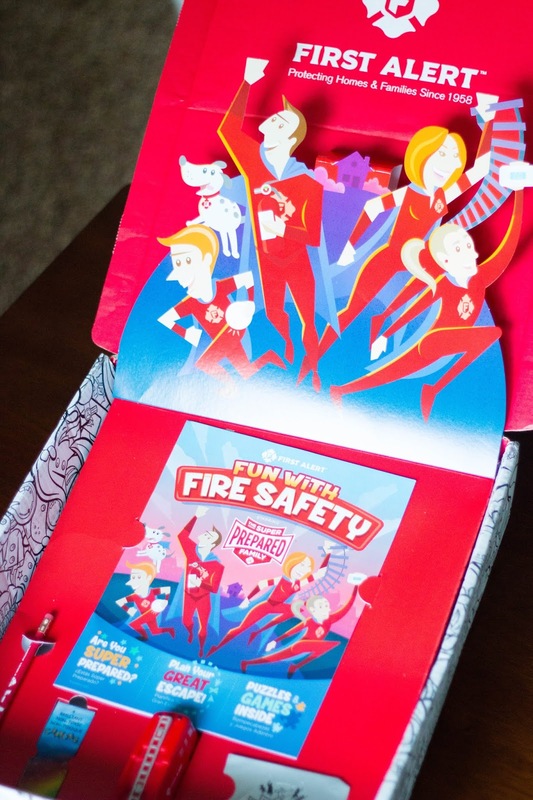 Now that my kids are four and six, they're at the age where they're really starting to grasp fire safety topics, and we can start talking about it on a bigger scale with our kids. Did you know that in the US over 100 million homes aren't protected with smoke alarms, and that 3 of every 5 home fire deaths come from a home with 0 smoke alarms. Alarms provide early warning in case of a fire, so it's crucial to make sure that your's are working properly. You should test your alarms and replace batteries as needed every six months. 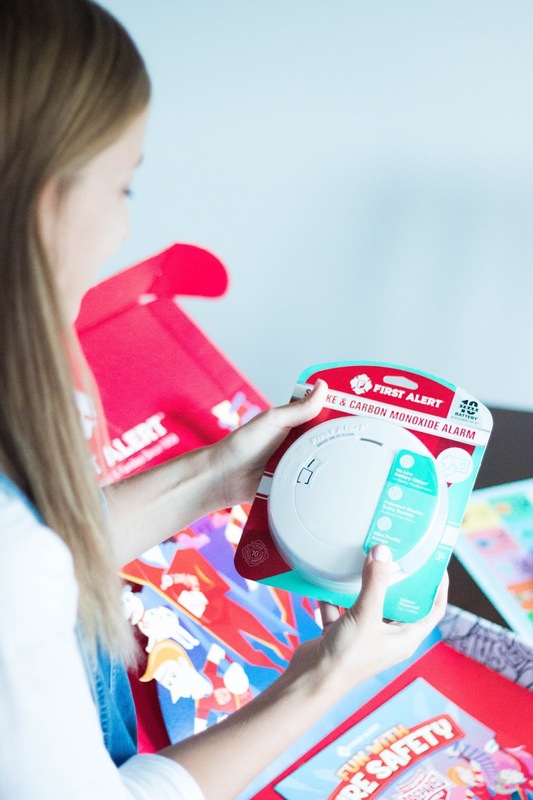 To eliminate the need for battery replacement, upgrade to First Alert's 10-year sealed battery alarms. Carbon Monoxide is also something you should be teaching your children about too. CO poisoning is the number one cause of accidental death. Because it's odorless, tasteless, and invisible, it cannot be detected unless you have an alarm. One way that Derek and I teach our kids about important topics they need to know are through weekly Family Home Evenings. We hold these every Monday night, and during the month of October, we plan on dedicating one of these nights to learning about Fire Safety. If you log onto the First Alert website, you can find so many valuable teaching tools. 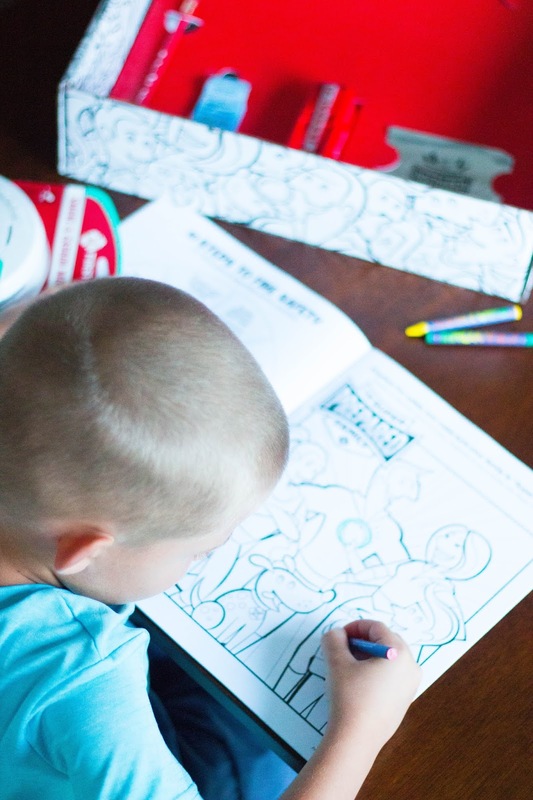 They an entire section dedicated to, "The Super Prepared Family", where you can find animated informational videos to share with your children, activity pages to print and color, and many more valuable resources. 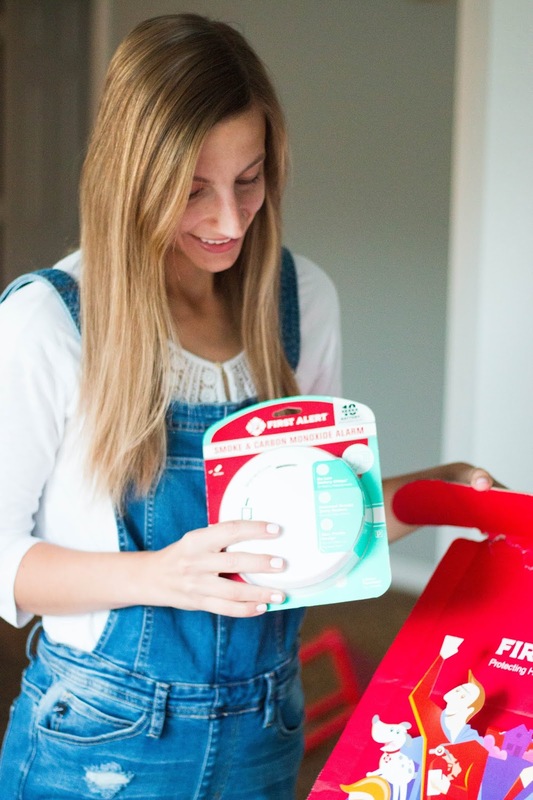 After you take your kids through the information on the First Alert website, it's important to talk about what Fire Safety looks like in your home. Show your kids where the smoke alarms are, test them with your kids so they know what they sound like, and have a designated meeting spot outside your home where your kids know to meet at when they hear that alarm. i love this post. it is really important teaching kids about fire safety even at a young age. very informative and helpful post. thanks for sharing this. Great guidelines on how can prevent fire awareness! Kids in their young age they know what to do in case of fire incident. In addition to the obvious life safety benefits, the fire prevention homework is a great marketing and public relations opportunity for fire departments, particularly during a time of limited tax funding. Bring the idea to your next school PTA meeting, then get your local media outlets to cover your efforts. This is soooo important! Educating on fire safety is essential no matter where your family lives. So good! This is really informative post about house security. Everyone should have this. Thanks for sharing it. Absolutely a must to do to all people, not just parents but also to everyone. As an individual we should know all the basic things to do when it comes to fire prevention. It's also essential to teach this to our kids so if any incidents like this that would happend they already know what to do. Such a nice way to teach our kids about fire prevention at the young age they were able to know what to do in times of emergency.